Something devilish is lurking in a church basement puppet show in Cypress, Texas. And his name is…Tyrone. He may look like an innocent sock puppet, but when he infiltrates the angst-ridden church youth group and takes possession of Jason’s arm, all hell breaks loose. Spectacularly foul-mouthed and wickedly scandalous, Tyrone shocks the congregation with his outrageous insinuations, exposing their deepest secrets—and teaching us all about love, grief and what it means to be human. A smash success on Broadway and in London, this darkly delightful and wildly funny comedy is the most produced play in America! 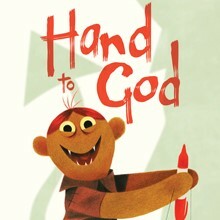 Note: Hand to God features explicit language. 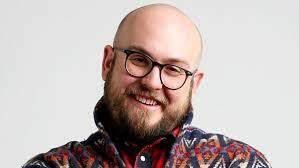 Robert Askins is a member of New York's famed Ensemble Studio Theatre.